1989 October: The Land Rover Discovery was released in the U.K. in October 1989 to fill the ever widening gap between the luxurious Range Rover and the utilitarian Land Rover 90 & 110 (later Defenders). Development started in 1986 and was very rapid by British standards, aided by the fact that the Discovery made use of the coil suspension, engines and full-time four wheel drive transmission of the Range Rover (Classic) of the day. The early Discovery came as a two-door with the 3.5-litre V8 petrol engine, the LT77 5-speed gearbox and LT230 transfer case with centre differaential lock. 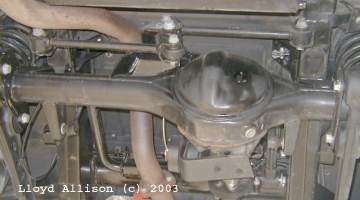 Later a 1994cc multi-point injection (Mpi) petrol engine was offered in European markets. Normal seating is for five, with two optional folding, inwards-facing seats under the distinctive stepped roof at the rear. 1996: Bigger 235/70R16 tyres on alloy wheels became the default in 5-door Discoveries, in Australia at least. Other standard items include head-light washers, air conditioning, air bags and ABS brakes. 1997: $39,990 (`S') - $51,570 (`SE7') ($au 1997). 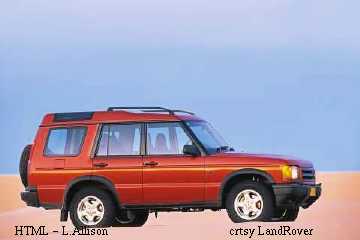 1998 September: The LandRover Discovery Series II, code name Tempest, had its press launch. The series II strongly resembles the series I, but is largely new, a little longer and a little wider, with self-levelling rear airbag suspension (4×coils on the base model), traction control said to remove the need to use diff'-locks, and hill descent control. The optional Active Cornering Enhancement (ACE) system uses accelerometers to sense cornering forces and controls hydraulic rams on the anti-roll bars to resist roll. The longer rear body allows the optional third row of seats to face forwards instead of sideways - important for the 4WD school run. Engine options are the V8 4.0 litre petrol 132kW (180hp) and a new `Td5' 2.5 litre five-cylinder turbo-charged and intercooled diesel 101kW (135hp). The new Discovery was at the Melbourne Motor Show, March 1999. The LT230Q transfer case has been quietened (hence the Q). It does contain a diff' lock but this can only be engaged in emergency by crawling under the vehicle with a spanner - the Discovery II relies on the traction control system instead. Rivals GM Holden Jackaroo, Jeep Cherokee, Mitsubishi Pajero, Toyota Prado. 2001 March: V8 manual $45,463, auto' +$2.5K, self-levelling +$1.4K, ACE +$3.76K. V8 auto 7-seat $51,193, ACE + $4K. ES V8 auto $65,935 & ES Td5 auto $67,664 (self levelling and ACE standard) ($au 3/2001). 2002 model year: The transfer-case centre diff' lock was deleted - so it cannot be locked not even with a spanner in an emergency if (when) the electronic traction control has gone bye-bye. 2002 March: A face-lifted Discovery was shown at the New York motor show. The revisions included Range Rover SIII -style head-lights and a real, lockable, centre diff' lock. 2004 May: Td5 Manual $52,490, V8 Automatic $52,490, Td5 Automatic $54,990, S V8 Automatic $55,990, S Td5 Automatic $58,490 ($au). 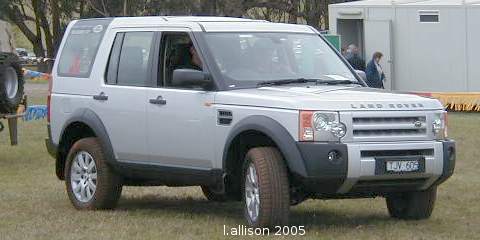 April 2004: The Land Rover Discovery series 3 had its debut at the New York International Auto Show. 4.4-litre Ford/Jaguar origin petrol V8 (224kW) or 2.7-litre turbo diesel V6 (142kW, 440Nm), 6-speed automatic gearbox, full-time 4WD, independent electronic air suspension, five or seven seats. On sale in "the Australian market in Q4 2004." price range $64,650-$83,650 ($au) 6/2005. SE V6 ($au) $65,700, 7/2007. SE 2.7d $75K, 4.0p $64K ($au) 12/2007. uk list price £25K-£38K (on road £29.3K-£44.4K) 2/2009. 2009, on sale Sept. 2009 in .uk, late 2009 in .au, Discovery 4, a revision: (exisiting) 2.7 litre TDV6 diesel engine, and new 3.0 litre twin turbo diesel TDV6 9.3 l/100km (244gm CO2/km), and 5.0 litre V8 petrol engines; 6-speed adaptive transmission. 3.0 TDV6 from £32K (9/2009). 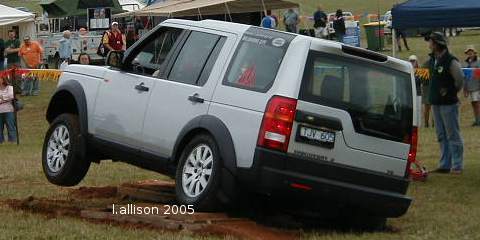 Discovery 4 XS from £41,395 (LR, 1/2010), from au$68.5K+orc (12/2010). 2011, September, .au: Discoverey 4s were being advertised from au$75K, drive away. SDV6 SE 3.0-litre V6 au$82K (11/2011). 2012, February 29: Jaguar Land Rover "celebrat[ed] the one millionth Land Rover Discovery manufactured at ... Solihull [by] setting off on an expedition ... to Beijing" -- JLR.